Deaths resulting from inadvertent, adverse effects or complications from medical treatment or diagnostic proceedures are known as iatrogenisis, meaning: brought forth by a healer (from the Greek iatros, healer).Their report places the number of annnual iatrgenic deaths in the US at 783,936. The largest single contributor to iatrogenic deaths are prescription drugs beingused as directed. According to a report issued by Medical News Today, over 4 billion prescriptions were written for drugs in America in 2011 . That’s an average of over 13 for each man, woman and child. The average number of prescriptions written annually for a senior citizen is 28 per year. That doesn’t include over- the-counter medications or vaccines. If these drugs could successfully treat and cure disease, the United States would have the healthiest inhabitants on the planet. I was recently saddened to read the obituary of one of my customers, a strongly-built Military Veteran in his mid-seventies, who appeared to me to be in excellent health five years ago. His son told me he recently reviewed his Dad’s prescriptions with him and was shocked to discover that 9 of the 12 drugs his father was taking had been prescribed to treat side-effects from one of the other drugs. His father was found dead, lying on the floor of his residence. No autopsy was performed. The Journal of the American Medical Association (JAMA) published a study by Dr. Barbara Starfield, an MD with a Master’s degree in Public Health, revealing the extremely poor performance of the United States health care and medical system in a number of areas. This is especially troubling because another article published in JAMA concluded prescription drugs used as directed cause about 106,000 deaths a year and over two million serious injuries annually in the U.S. 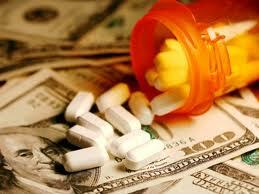 This makes prescription drugs the single largest factor in deaths induced by the medical system. Nationally, only about 20% of all deaths are subject to investigation by a coronor or medical examiner. If the cause of death was made certain in all cases by autopsy, I’m certain that the number of deaths actually caused by prescription drugs used as directed would dwarf the 106,000 per year the JAMA report acknowleged. Due to concerns about dangerous side-effects from long-term use, many prescription drugs were, at one time, specifically prescribed only for short-term use Now, just a few years later, many of the same drugs are routinely prescribed, indefinitely, for the rest of your life. This obviously contributes to medical system related deaths as well. Prescription drugs and hospital visits are very risky business. Unlike with other more well publicized causes of death, simply taking greater personal responsibility for our own health and well-being could save hundreds of thousands of lives every year. More gun or traffic laws will do nothing to save us from what is actually the Nation’s number one killer, the medical system. Rob Pell owns and operates Sunshine Natural Foods in Grants Pass, Oregon and has 35 years experience helping people with natural foods, products, exercise and healing. This article originally appeared in The Daily Courier, 2-20-2013.